We are a leading Manufacturer of wet grinder for kitchen, table top tilting grinder, tilting wet grinder, varlakshmi- platin table top grinder, lakshmi wet grinder and varlakshmi table top grinder from Coimbatore, India. Our association has effectively extended its business in business sector inferable from the offered raised quality exhibit of Domestic Wet Grinder for Kitchen. Broadly commended for its notable components like effortlessly separable drum for cleaning and elite, offered processor is composed utilizing ideal quality crude materials and bleeding edge innovation by our able experts. 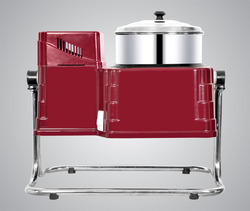 Accessible in different sizes and hues, this processor is utilized for making sustenance at homes. Our clients can avail from us impeccable quality range of Table Top Tilting Grinders as per their application specific requirements. Furthermore, our grinders find application in homes, hostels and hotels owing to their cost-effectiveness, durability, sturdy construction, accurate dimensions and portable size. Our organization is specializes in manufacturing, trading and supplying a qualitative array of Tilting Wet Grinder. Under the vigilance of our experienced professionals, this wet grinder is manufactured using optimum quality raw materials and cutting edge technology. 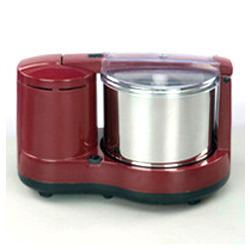 So as to cater the requirements of our clients, we provide this wet grinder in varied sizes, colors and designs. Used to grind more than 2 liters of items at a short span of time, this wet grinder can be availed from us at budget friendly prices. Shree Lakshmi ABS plastic wet grinder is a sleek and compact wet grinding device from the house of Shree Lakshmi. This essential appliance helps you to grind food faster and more efficiently than manually. It is best for making pastes for idlis, dosas and vadas. This affordable product requires only 150watts of electricity. 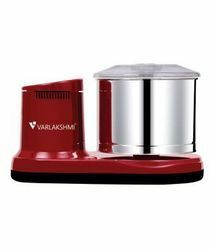 Shree Lakshmi ABS plastic wet grinder comes with one stainless steel jar with a polycarbonate lid for the drum. This jar has a capacity of 2 litres. This capacity is enough to provide for a family of 4-5. 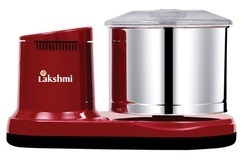 Shree Lakshmi ABS plastic wet grinder comes with different blades that can make your kitchen chores easy and quick. This all in one device has an atta blade that can knead the dough for you. Second, it has a coconut scraper that can grate coconut for you and can make you delicious chutneys and curries. Third, it comes with the grinding blade that can do wet grinding and provide you with smooth pastes for south Indian food. This durable wet grinder from has an ABS plastic body that is strong and highly durable. This body is resistant to scratches or marks as a result of repeated use. Also, it is highly durable, and will maintain its finish for years to come. This easy-to-use grinder is an effective replacement for manual grinding. Now you can give rest to your arms as this grinder is here to make your life easy. No more spending hours churning out coconut paste and making chutneys. 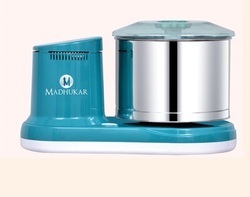 This grinder with two attachments can now knead your dough, make you delicious pastes for south Indian food and also make great chutneys for enjoying your pakoras and kebabs. This grinding machine for the kitchen has an elegant and compact design. 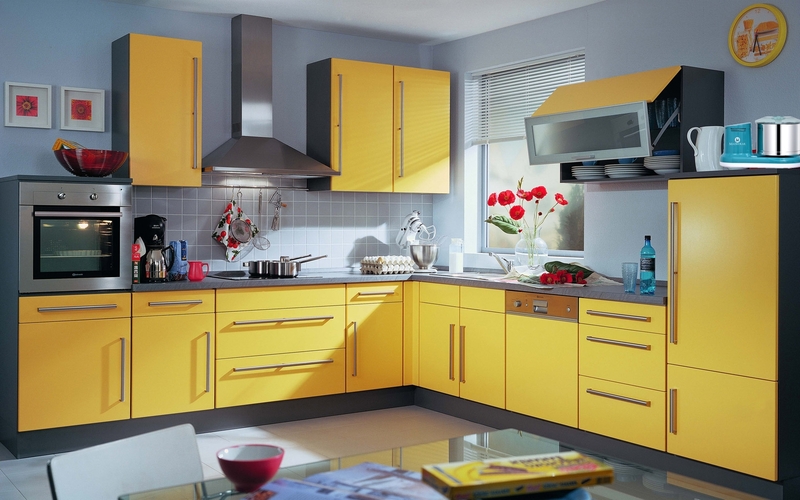 It can fit into any corner of the kitchen without occupying much space. Also, it needs only 150watts of power and 240volts of current which does not affect your electricity bills much. Our organization has successfully expanded its business in market owing to the offered elevated quality array of Domestic Wet Grinder. Widely praised for its salient features like easily detachable drum for cleaning and high performance, offered grinder is designed using optimum quality raw materials and cutting edge technology by our adroit professionals. 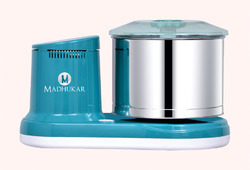 Available in various sizes and colours, this grinder is used for making food at homes. The strong stainless steel drum can be detached easily from the drive shaft for easy cleaning. Owing to a long-term destination for our business, we are engaged in offering a wide gamut of Table Top Wet Grinder. Available in variegated colours and specifications for our valuable clients, provided grinder is used for abrasive cutting of hard materials or a food preparation appliance. 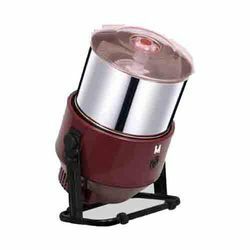 Designed under the guidance of our adept professionals, offered grinder is manufactured using supreme quality raw materials and modern technology. Being a highly effective, lean and fast-moving organization, we are highly instrumental in providing an extensive array of Table Top Grinder. Widely acclaimed for its features like light in weight and powerful heavy copper motor, offered grinder is designed using optimum quality raw materials and sophisticated technology. Available in varied colors and sizes, this grinder is tested by our quality examiners on different parameters. With firm commitment to quality, we are presenting for our clients a vast range of Wet Grinders. 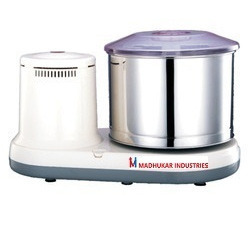 Designed by our skilled professionals using top notch quality raw materials and innovative technology, offered grinder is especially used in Indian cuisine for grinding food grains to produce a paste or batter. In order to ensure its durability, this grinder is sternly tested on various parameters by our quality controllers.